There were 762 press releases posted in the last 24 hours and 153,556 in the last 365 days. 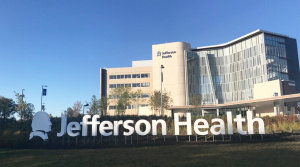 Jefferson Health partners with Prepared Health to transform Philadelphia and NJ markets into "models of innovation"
CHICAGO, ILLINOIS, UNITED STATES, April 17, 2019 /EINPresswire.com/ -- Jefferson Health, a 14-hospital system in Philadelphia and New Jersey with more than $5 billion in revenue, named Chicago-based Prepared Health its digital technology partner for post-acute and transitional care. Prepared Health’s platform enables hospitals to connect, collaborate and react in real-time with the multiple providers involved in a patient’s care post discharge including post-acute, home and social determinants of health partners. The digital care coordination platform will launch at Jefferson’s Cherry Hill, Stratford and Washington Township hospitals in New Jersey. Prepared Health’s cloud-based, mobile-friendly platform connects caregivers across the entire care continuum: skilled nursing facilities, home health care, non-medical home care, durable medical equipment providers, pharmacists, geriatricians, family caregivers, and companies that address social determinants of health. The tool fosters collaboration in real time to reduce communication gaps that can occur when multiple providers are involved with patient care post-discharge. The intent of the collaboration is to reduce readmissions, curb uncompensated care due to unnecessary ER utilization, and streamline patient transitions to post-acute and the home. The connected platform includes DINA, an AI technology that analyzes patient data and suggests evidence-based interventions to caregivers. Jefferson Health is reimagining health care in the greater Philadelphia region and southern New Jersey. Our dedicated team of doctors, nurses, health professionals and staff provides a range of primary to highly-specialized care through 14 hospitals (seven Magnet®-designated for nursing excellence), more than 40 outpatient and urgent care locations, the NCI-designated Sidney Kimmel Cancer Center and Magee Rehabilitation. Thomas Jefferson University Hospitals, Inc. is nationally ranked in 10 specialty areas by U.S. News & World Report (2018-19). Prepared Health is a Chicago-based digital healthcare company that connects hospitals and health plans to the multiple providers involved in a patient’s care post discharge including post-acute care facilities, home care and social determinants of health partners. The award- winning platform has been recognized for its easy-to-use, innovative user experience and DINA, an AI technology that acts as a virtual care coordinator suggesting evidence-based interventions. Today, Prepared Health is connected to 700 sites across the U.S. with demonstrated outcomes that dramatically decrease avoidable readmission rates, reduce unnecessary ER visits and boost caregiver productivity. For more information, visit www.preparedhealth.com.